Throwing a Hawaiian themed party? 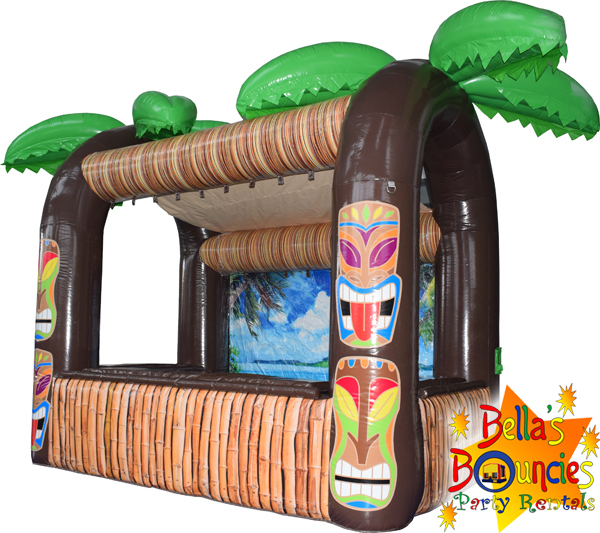 Wow your guests with this Tiki Bar. Your guests will love it! 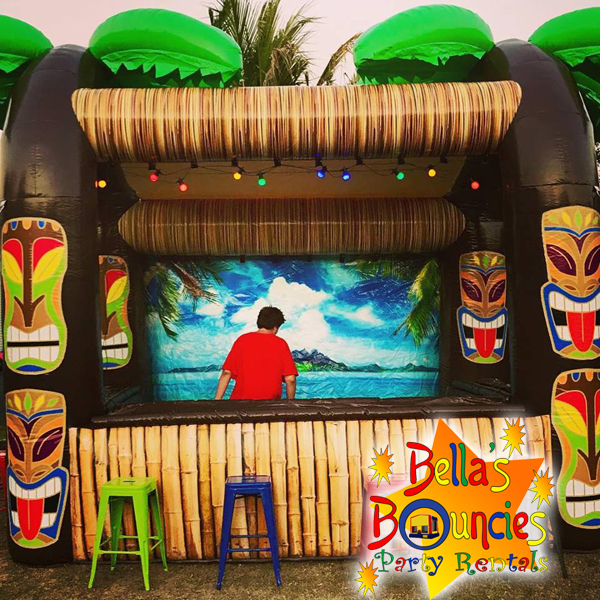 Perfect for any event including birthday parties, corporate events, Hawaiian parties, weddings, pool parties and even sporting events. Setup indoors our outside. 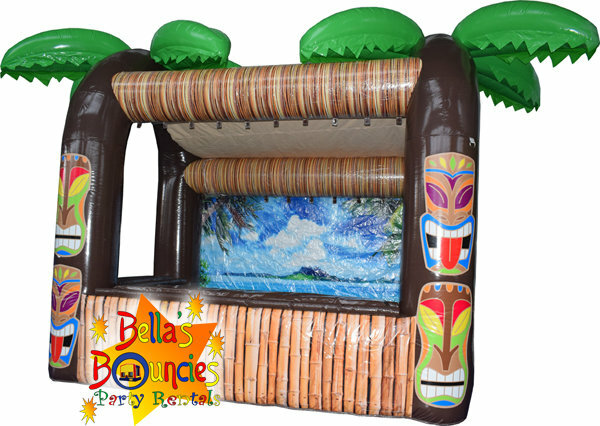 The inflatable tiki bar can be used to keep the kids refreshed on a hot day or to serve adult guests’ grown-up beverages. Barstools and LED Lighting are available as add-ons.